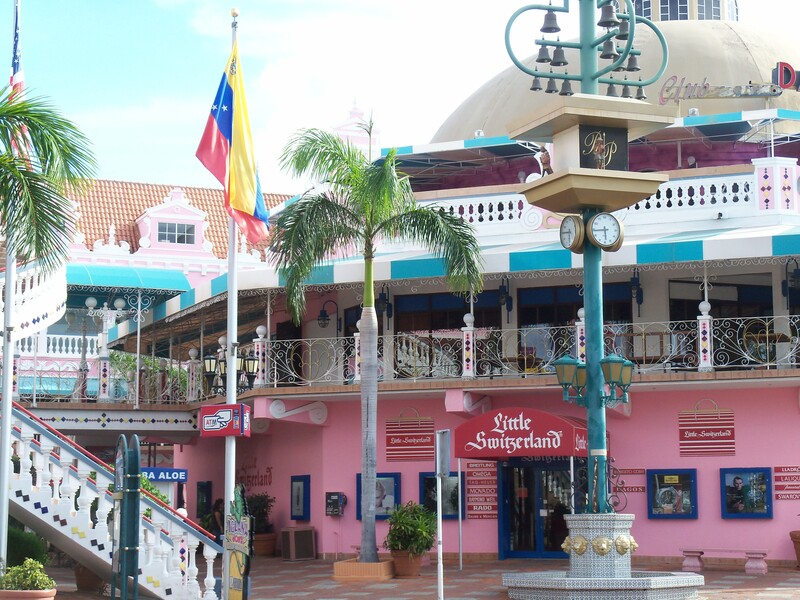 If you’ve seen one shopping center, you’ve seen a mall. When I was in college, my roommates and I got tired of looking at the bare cinder block walls of our apartment. So, we started writing down and hanging up all the cheesy pick-up lines we knew or had heard. Our friends and visitors contributed their own cheesy pick-up lines to the wall. Pretty soon, our Pick-up Line Wall of Shame became something of a miniature tourist attraction in our apartment building. As I was going through my quote file the other day—looking for something else entirely—I came across a rubber-banded bundle of paper that was the remains of the long-since dismantled wall of pick-up lines. 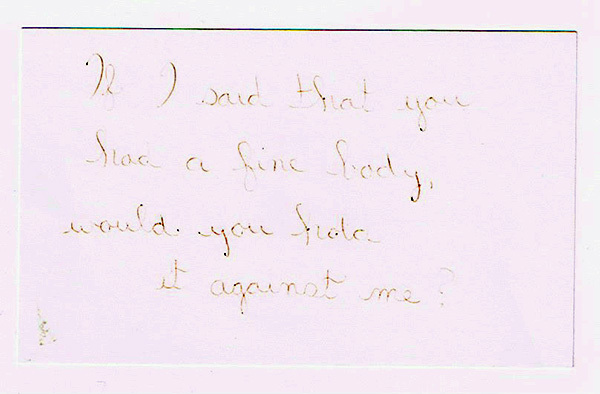 Because reading them made me laugh, I here present choice selections from the Pick-up Line Wall of Shame, circa 2003. Will you hold me? I’m a fermata. 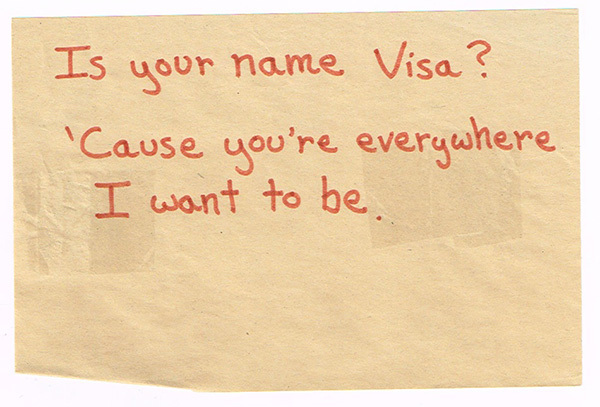 Is your name Visa? ‘Cause you’re everywhere I want to be. If I said that you had a fine body, would you hold it against me? If I were Peter Pan, you’d be my happy thought. You are a peach. If we cantaloupe, lettuce marry. Weed make a swell pear. 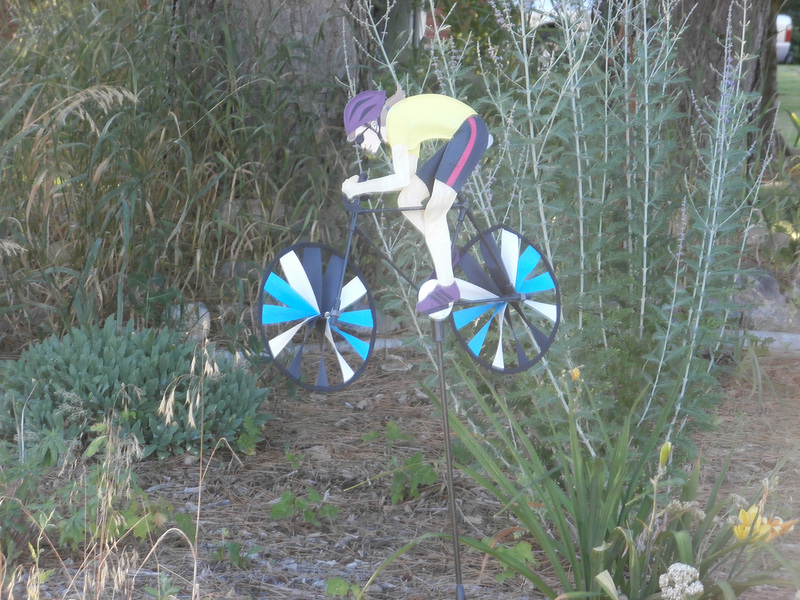 Are your legs tired? Because you’ve been running through my mind all day. It took me 2 years, 9 months, 18 days to read the complete works of William Shakespeare. 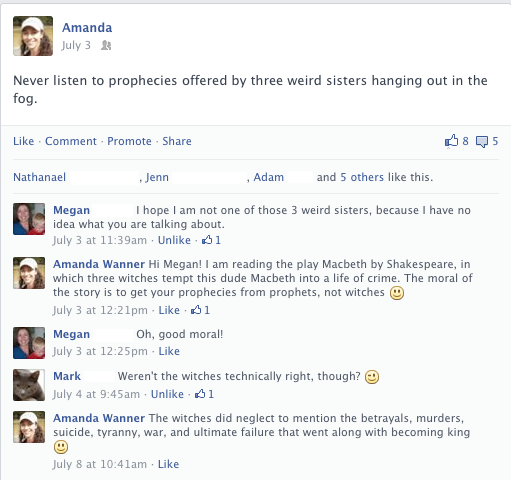 I mentioned my reading frequently on Facebook. 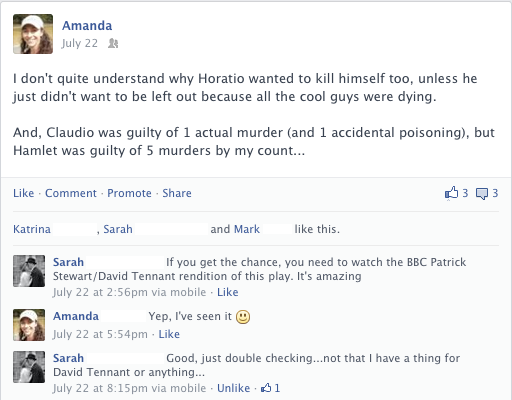 It seems that everyone has something to say about Macbeth and Hamlet! 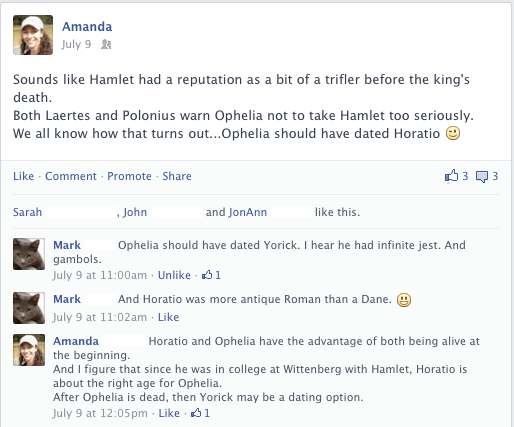 Ophelia and Horatio: What might have been. 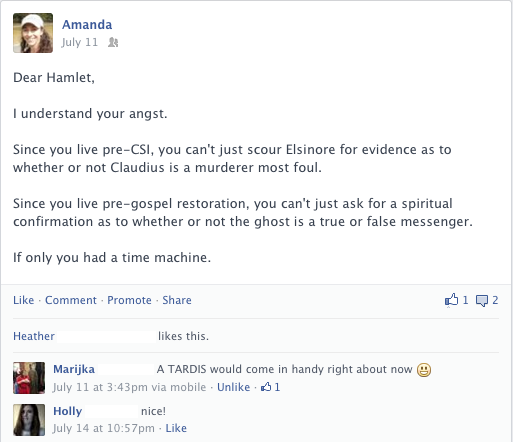 In which Hamlet needs a time machine. In which all the cool stuff happens off-stage. Wait, how many people died in that play? 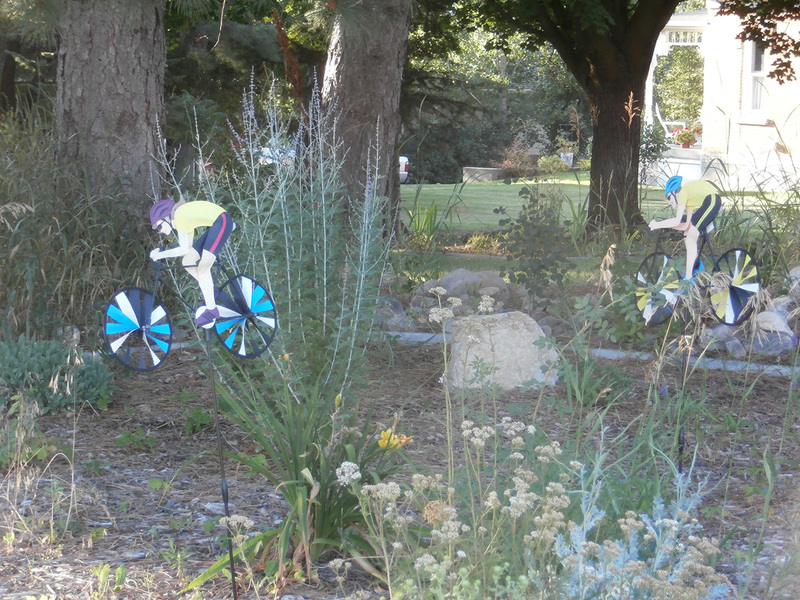 As I was out walking in my small town on a recent summer evening, I spotted these yard decorations. 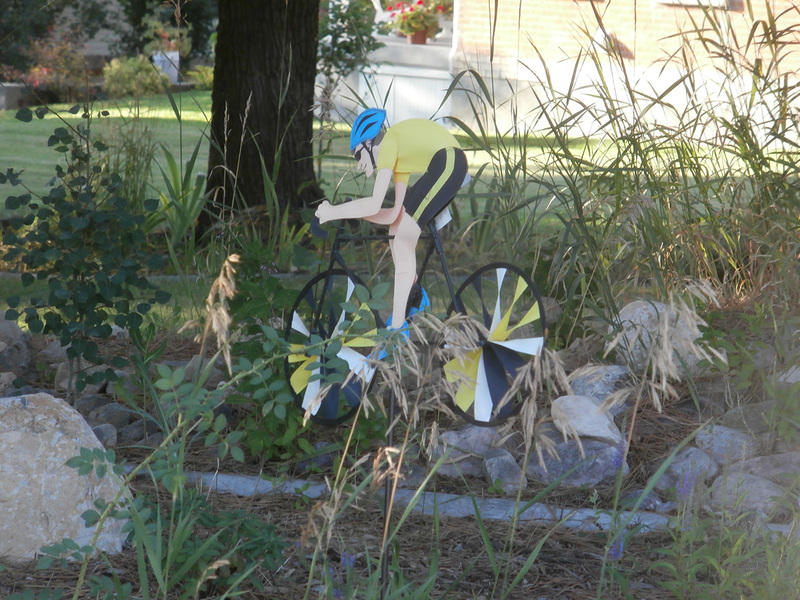 Is it safe to guess that road cycling enthusiasts might live there?